This is the perfect event for any wine enthusiast that simply can’t get enough. What is Barrel Bonanza? Barrel Bonanza is an opportunity for you to tour the Barrel Cellar and taste finished and just finished fermented wines every hour on the hour. Learn what type of yeast you like and compare the difference in flavor that new oak verses older oak has on Chardonnay and Saperavi. Taste the 2014 Reserve Saperavi straight out of the barrel and if you like it you can buy futures at a 20% discount. You can also choose a mini Vertical Tasting of Saperavi, Cabernet Sauvignon or Petit Verdot. If you need to take a break there will be live music and delicious food for you to enjoy. Barrel Tastings are noon, 1, 2, 3 and 4 – you pick one. Saperavi Vertical is @ 12:30, Cabernet Sauvignon @ 2:30 and the Petit Verdot is @ 3:30. The cost of this event is $20 per person and includes one Vertical Tasting. Extra Vertical Tastings are $10 each. 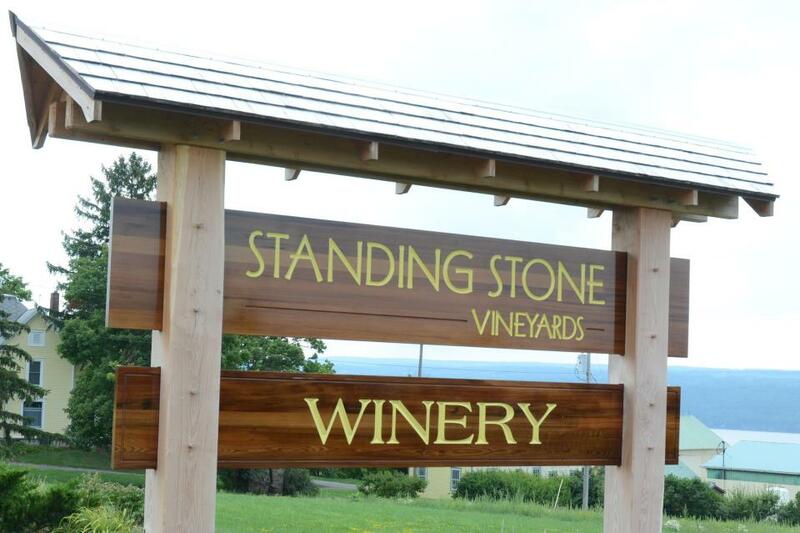 This entry was posted in Wine news and tagged Barrel Bonanza, Finger Lakes Region of New York, finger lakes wineries, FLX, Hector NY, Saperavi, Saperavi grapes, Seneca Lake, Standing Stone Vineyards, Standing Stone Winery, vertical tasting, wine, winery. Bookmark the permalink.